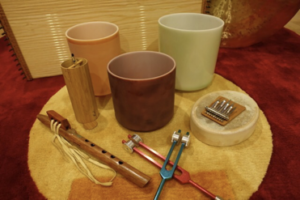 Clear and rebalance physically, emotionally and spiritually with the energy of Reiki and the vibration and tones of singing bowls, flutes, chimes, strings and more. Experience Deep Relaxation, Balance of Mind and Body, Release of Stress and Blockages, Every Cell Vibrating in Harmony. Reiki provides a soothing relaxing session where client and practitioner enter a oneness meditation together to send healing deep into the physical body, as well as to the mind, emotions, and spirit. 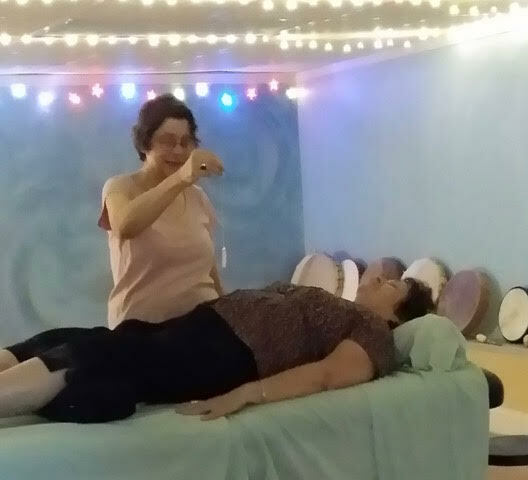 The healing sounds of the performance will be taken in more deeply during this state increasing the effectiveness of the Reiki session. Reiki is done clothed without manipulating the body. It is done either hands-off without touching the body or can be done hands-on with hands lightly touching the body or sliding under the body or can be done as a combination of hands-on and hands-off, please confirm with your practitioner at the time of the session if you desire hands-on work. Myra Reichel, Karuna Reiki® and Shinpiden Reiki Master, as well as Founder of the Reiki Healing Center of Media, PA.
Susan Maule is a Vibrational practitioner/teacher and Reiki Master. Massage tables, chairs for reiki, seats for just being in the energy and yoga mats will be available. There will be 3-4 Reiki practitioners to give hands on Reiki and personal vibrational energy with Susan.